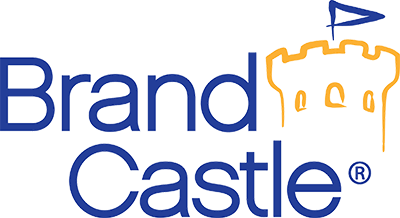 Since 2005, Brand Castle has been dedicated to making fun, interactive and quality products including Crafty Cooking Kits®, In The Mix®, Festival® and Aspen Mulling Spice ® brands. We are focused on the safety of our products and consumers. Brand Castle makes every effort to ensure our products are accurately labeled and are not misleading to the consumer. We want to make sure you have every bit of knowledge about our products so you are able to make sound decisions. To be confident you are getting accurate allergen information, always check the ingredient statement of the item you are purchasing as well as any accompanying allergen statement (e.g., ”Contains Wheat, Milk and Soy”). If you have questions about the allergens listed in our products, or want to know more about allergens in the facilities where our products are made or packaged, please do not hesitate to contact us using the form on this website. The eight main allergens recognized by the U.S. Food & Drug Administration (FDA) include: milk, eggs, fish, crustacean shellfish, tree nuts, peanuts, wheat, and soybeans. If our products contain any of these allergens in the ingredient list, the product label will include them in the allergen “contains” statement. Some of our products may contain soybean oil as an ingredient in the product or trace amounts of soybean oil as a processing aid. This soybean oil has been highly refined, bleached and deodorized, a process that removes the protein that can cause an allergic reaction. Because individual sensitivities vary, however, if there is soybean oil in a product, only the consumer can determine whether this presents an allergen issue for the person with the allergy. There may be a possibility of airborne particles in our products for any of the 8 main allergens present in a facility. Though cross-contamination may be unlikely, we advise anyone with a severe allergy to make a sound decision in trying our products. Peanut-free means a food does not contain peanuts, peanut butter, peanut oil or any form or derivative of peanut. The same is true for “Tree Nut-Free” with respect to tree nuts. Some facilities processing food for us may have equipment used for nuts, however this equipment is used exclusively for peanuts/tree nuts and strict allergen controls are in place to prevent cross-contamination. Our baking and drink mixes are produced in peanut-free facilities. The only tree nut present in our baking mix production facility is coconut. In addition, tree nuts (almonds, walnuts and coconut) are present in one of our drink mix facilities, but with very limited use. If you are concerned about the potential for cross-contamination, please note these allergens may be airborne in either facility despite every effort to maintain preventative cross-contamination measures throughout the course of production. Glutens are proteins that naturally occur in a prohibited grain and may cause adverse health effects in person with celiac disease. Prohibited grain includes any of the following: wheat, rye, barley, as well as cross-bred hybrids of wheat, rye and barley. We consider most of our sprinkles “gluten-free” since they do not contain any forms of wheat and are not run on production lines processing products containing gluten. Many of our non-sprinkle products contain wheat. Although rare and unlikely, we advise anyone with celiac disease or severe wheat allergy to make a sound decision in trying our products since cross-contamination and airborne particles are always a possibility with respect to components contained in our baking kits or drink mixes. For instance, our Aspen Mulling mixes currently do not contain any gluten ingredients, but are produced in facilities where gluten is present. Brand Castle cares about our products and our consumers. We want you to enjoy our products without question. When in doubt, read the ingredient and “contains” statements and contact us if you have further questions for any of our products. The main allergens include: milk, eggs, fish, crustacean shellfish, tree nuts, peanuts, wheat, soybeans. If our products contain any of these allergens, we list them on our packaging. Some of our products may contain trace amounts of soy oil, a processing aid. The soy oil has been refined, bleached and deodorized, a process that removes the protein that can cause an allergic reaction. Because individual sensitivities vary, however, we have chosen to list the soy oil. Peanut-free means that a food does not contain peanuts, peanut butter, peanut oil or any form or derivative of peanut. We consider most of our sprinkles “peanut-free” as they do not contain peanuts and are not run on lines that process peanuts. We take special care to eliminate cross-contamination with our products with weekly machine cleaning and by separating production lines. However, there may be a possibility of airborne particles present in our products. Though this is rare and unlikely, we advise anyone with a severe peanut allergy to make a sound decision in trying our products. Our facility does have equipment that is used for peanuts, however this equipment is never used for any other purpose, except for peanuts, is cleaned after each week’s production, and is located in a separate room from our sprinkles. If you would like to learn more about our facilities, email us using the form on this site. Glutens are proteins that naturally occur in a prohibited grain and that may cause adverse health effects in person with celiac disease. Prohibited grain includes any of the following: Wheat, Rye, Barley, Crossbred hybrids of wheat, rye, barley. We consider most of our sprinkles “gluten-free” as they do not contain any forms of wheat and are not run on production lines which process wheat products. Many of our non-sprinkle products contain wheat. Although rare and unlikely, we advise anyone with celiac disease to make a sound decision in trying our products as cross-contamination and airborne particles is always a possibility. Brand Castle cares about our products and our consumers. We want you to enjoy our products without question. When in doubt, read the ingredient statement and contact us if you have further questions on the integrity of our products.